Who is Jonathan David Bass? 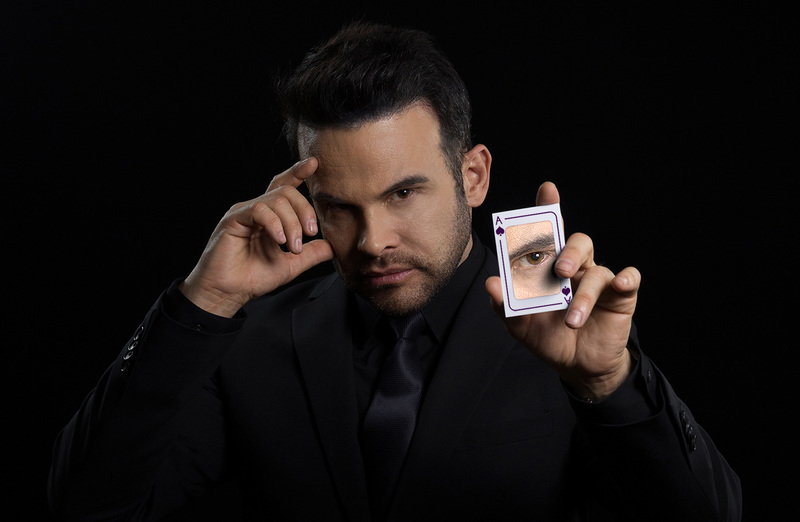 Jonathan is multi award-winning illusionist and mind reader. With his unique brand of illusion, he has been the feature act in over 60 television shows around the world, including “The World’s Greatest Magic“ on NBC and “Masters of Illusion“ on FOX. Jonathan’s full-scale illusion show toured internationally for 10 years and spanned 4 continents! From the USA to Canada, France, Belgium, Germany, Turkey, Japan and China. He was also featured in his own show at Caesars palace, Las Vegas, in Caesars Magical Empire. Jonathan can currently be seen in his own show “The Prague Illusion” in the magical city of Prague located in Central Europe. 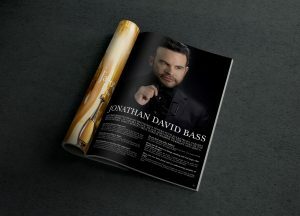 Jonathan David Bass has performed in the most prestigious venues such as Caesar’s Magical Empire in Caesar’s Palace, Las Vegas. He has also graced the stages of top venues in Paris, Tokyo, Monte Carlo, Zurich, Madrid, Germany and Africa. How did your interest in Magic start? When I was in school I saw a magician perform for the first time. After seeing the magician I was so impressed I could hardly sleep. At that moment, I decided to become a magician. I practiced magic everyday for weeks. I used to dream about combining magic with science fiction. Did you have any training in Magic? I have extensive training in theater and psychology, which I incorporate into my show. In college I studied industrial design. This has been a great asset to me in the innovation of new illusions. What distinguishes your show from other magicians? My show is not a traditional magic show. The show invites the audience into a world of the unexplainable. For example, levitating a person with the audience standing around me on the actual stage. My mind is always focused on new ideas for my show. When you love what you do, your work is your hobby. Scripting and drafting new ideas are my biggest hobbies. If you had the chance to change anything with real magic, what would you change? While traveling around the world I realized people are the same; they share the same passions and dreams, if I had the power, I would end hatred between people stemming from cultural differences. Have you ever been faced with an embarrassing situation on stage? In a live performance these things can happen on rare occasion. A competent performer handles these problems discretely without disrupting the show. Rising star of magic, Jonathan David Bass, a magician with an international reputation, will be performing at the Efendy Theater in Istanbul, Turkey. After a very interesting conversation with Jonathan, I was able to see how this impressive young man got started in the magic world. How did you start in this profession? When I was eight years old my father gave me a magic set as a gift and from that moment I was hooked. I did my first professional show at the age of twelve. How did you progress in illusion? Did you have any training? During high school I attended seminars and conventions in the art of magic. It was at that time I became a member of the International Brotherhood of Magicians. I read every book I could find on the subject of magic. Then in college I studied theater dance and prop design. It was always my dream to combine science fiction and illusion. How would you define your style on stage? In my field you are either a magician or a mindreader. My style is unusual. It’s an amalgam of psychic phenomenon and visual illusions which evoke a sensation of the impossible. Do the people who assist you learn your secrets? My illusions are composed of a series of complex methods. I am the only person who is familiar with all of them, since I developed them. People I am working with sign a confidentiality agreement. However, I believe deep inside that people do not really want to learn the secrets of magic. If they do, the magical world is lost. What does the word illusion mean to you? A world of unknown and unexpected possibilities… a fantasy world. Do you get lost in this fantasy world while you are performing? When I am on stage I am drawn into the world I create. The audience feels this and we journey through this world together. You have performed your show all over the world. How do the reactions differ from place to place? Americans usually react boldly with large rounds of applause. Germans react similarly. There is a long history of live entertainment in these countries. Asian countries are generally more passive during the show. Even when they enjoy the show immensely, they sometimes feel that they are being rude if they applaud too much. No matter what the external reaction, the internal reaction is always the same. It is one of intrigue wonder and exhilaration. Magic is a universal language that transcends all cultural barriers. The magical experience began when Jonathan David Bass chose a random audience member and immediately popped a note into his pocket. Asking for census, he preceded to count the number of skeptics who were raising their hands in the audience. When the gentlemen opened the envelope and read it aloud, Jonathan had predicted the exact number of skeptics that would raise their hand! I have no idea how that was possible, as the volunteer was given the note to hold at the very beginning! Bass, a recipient of the coveted Siegfried and Roy Lion’s Head Award for Excellence and Creativity in Magic, recently returned from a world tour. The enchanter has appeared in numerous stage and television engagements. Bass was featured on CNN and appeared on “Masters of Illusion“ on FOX. The extraordinary talents of Bass kept the audience fixated on his every move. His magical talents and technical wizardry create a mystical form of art which was difficult to categorize. At times he exuded the feeling of the supernatural. 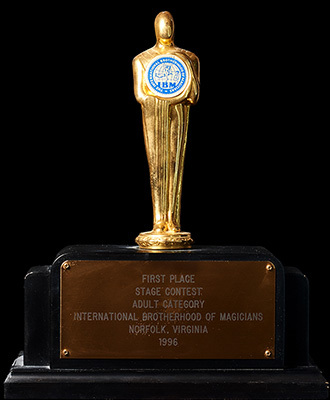 The International Magicians Society presents this annual award celebrating the achievements of the finest performers of the magical arts. Jonathan joined the ranks of such others as David Copperfiend, being the recipient of this prestigious award. The I.B.M is the largest magicians organization in the world with thousands of members world wide. Every year a competition is held where hundreds of the best magicians compete. Jonathan was honored to receive 1st place in this competition. 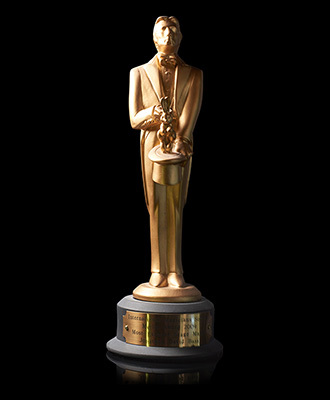 The most prestigious award for an illusionist in France. Eight of the finest illusionists and magicians are selected to compete in front of jury of celebrity Judges. 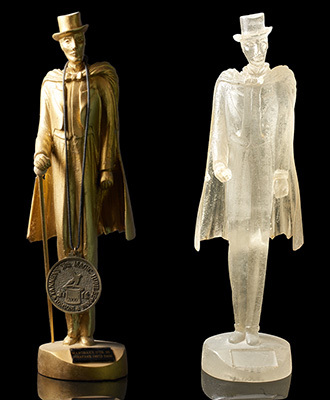 Every finialist receives the Golden Mandrake, however only one of them receives the Crystal Mandrake. 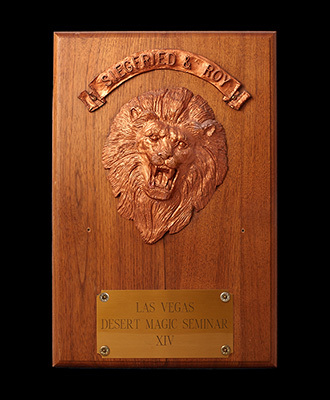 This competition was founded by the legendary Las Vegas duo Siegfried and Roy. Unlike most competitions that are rated by a panel of experts, this one is judged by the audience. It is held at the Tropicana hotel in Las Vegas.